Description: 2 to 3 feet tall. 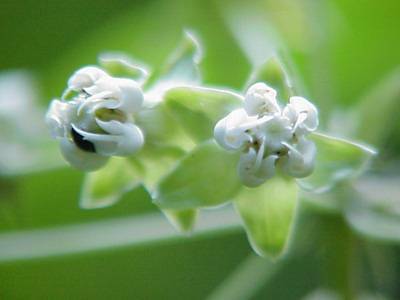 This species is identified by combination of white flowers and broadly ovate leaves. 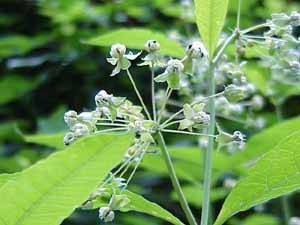 Flowers have a structure of 5 turned back petals supporting a crown with 5 incurved horns.